NFL Forum :: - Tannehill 2013, Does He Take The Next Step Forward? Tannehill 2013, Does He Take The Next Step Forward? 1) A lot of new players. 2) A brutal beginning to the shedule combined with number 1. Lately we have had some QB's start day one and do very well. We should remember that isn't the norm. I suspect it will be a few years before we really know what we have. Henne didn't look too bad at first. Stat wise I think he might have done better than Ryan. But that isn't the whole story. Henne had started four years in college, sat a year behind Pennington, and had inherited an 11-5 playoff team. When you look at how Ryan handles the blitz....his ability to read a defense and call audibles at the line....the way the other players appear to feel about him.....and compare to Henne.....there is no doubt in my mind that the team is moving forward. Factor in all the work he has been doing with the WR's on his/their own time and it says a lot. I think the future looks good but we might not see it in the win column this year. Not only did Henne not do better than Tannehill as a rookie, 2011 was his only season with a higher passer rating than Tannehill had last year. I'm not concerned about a lot of new players. New better players is better than familiar worse players. And you can't really get newer than a rookie, which Tannehill was last year. He never practiced with his #1 receiver until the week of his first NFL start. 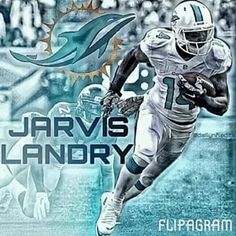 This year he has an entire offseason with Hartline and the other receivers. He has a tight end who is a threat beyond 5 yards downfield. He has RBs who will hit holes consistently, which should lead to more consistent gains and much better play action, which Tannehill excels at. He's also super sharp and very self aware when it comes to his weaknesses, so I have great confidence in his ability to do so. Too funny & yet so true. "Suffering through an embarrassing performance a year ago"
Rookie HC & a rookie QB, 7 - 9 ... whatever Jackass! RT is the best QB while being pressured in the AFC East? Just goes to show you why we drafted Jordan at number 3 overall. If we want to beat Tom Brady, then we HAVE to get pressure on him!! Honestly I can identify 2 kinds of pressure on Brady. A). the kind he/the scheme dictates you can apply. Meaning - please go ahead & overload with a blitz pkg, it makes scoring 6 elsewhere, in a single coverage missmatch easier. B). Put consistant preasure on him with 4 DL & demonstrate that your LBs can drop into coverage. It's too dificult to disguise blitz packages with Brady, to me he thrives when you bring in Xtra pass rushers. Both the Giants & 49ers got it done with 4 quality DL. He better or start looking next draft just in case, dont wait to see if he is not the real deal, have a QB in waiting. As the accolades continue to pile on about the new weapons and just how mature RT looks in camp compared to last year the pressure is definitely being put square on the shoulders of Tanny. Especially with his own OC saying he will be the most improved player in the NFL this season. That's just how I like it though. It's time to see if our QB can excel under that pressure or wilts under it! Getting really stoked to see Tanny Boy and the new look offense next year.